Slot machines or Slots have been one of the biggest reasons behind the regular online gambling industries growth the last couple of years. This is highly understandable when you see how much the online slots have evolved during the last couple of years and especially to the old, retro slot machines that were normally placed in offline casinos, bars and bowling alleys. The slots nowadays are excellent in terms of graphics, animation and sound effects and combined the provide an excellent gaming experience with a lot of excitement. Each slot game differs a bit and offers unique special features which makes it fun to try a lot of different games in case one of your previous favourites have become a bit boring. 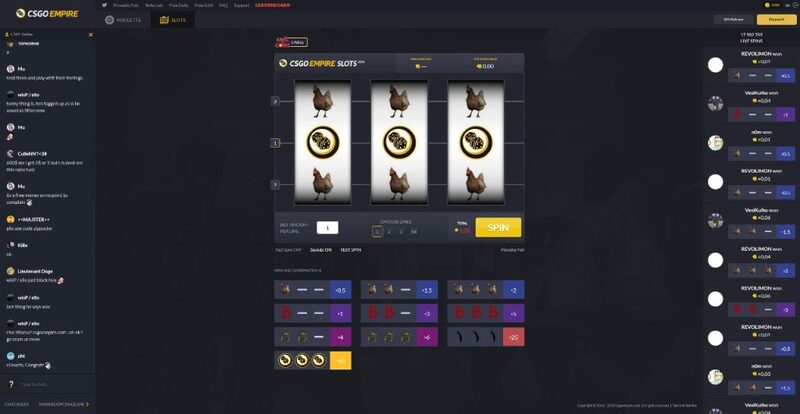 Luckily, there are slots to gamble on with your CS:GO skins as well. With that said it’s a bit unfortunate that the supply of games is rather limited and might not give you the best experience. Not to worry, there have been very entrepreneurial solutions that have enabled different ways of getting access to the normal casino slots. Want a bigger supply of slot games to choose from? If you feel that these slots do not live up to the quality that you hoped for you can deposit skins with different skin deposit methods. SkinPay, Skins Cash and G2A Pay are some of them. This widens your universe to more eSports focused sites like the following betting sites. These sites provide a much wider supply of games and they have a lot of the slot games from the big gaming providers like NetEnt, Microgaming, Play N GO etc. But with all these games accessible it becomes a real hassle of choosing which one to play. There are several sites with reviews of the different games but the best site I found for picking the right game is SlotCatalog.com. It works in a way that it ranks all the slot games available by crawling (checking each casinos lobby) to see which games are the most popular. An extraordinary feature is that this ranking is available for each country as well as desktop and mobile. The desktop vs mobile ranking is valuable since some slots aren’t perfect for mobile which drastically takes out the fun when playing from a mobile device. Starburst (NetEnt, 2013) – The worlds most popular online slot. Excellent graphics and sound effects provides a real fun experience. The bonus features are Sticky Wilds & Re-Spins, Free spins and of course the jackpot feature. Read more about Starburst on SlotCatalog. Book of Dead (Play N’ Go, 2014) – A slot machine that was released in 2014 and is one of the most popular. The developers had a lot of inspiration from the physical slot machine Book of Ra, which is a real classic. The slot have the classic free spins and jackpot features. Read more about Book of Dead and other slot games on SlotCatalog. If you feel that the slot game supply at the eSports focused gambling companies that have the different types of skin pay deposit options isn’t enough, we got you covered with regular casino bonuses. Remember that these bonuses are restricted by the online casinos special terms & conditions and usually have some turnover restrictions (meaning that you will have to turnover your bonus amount several times before you can cash them out). Most of these bonuses also have a time limit which means you must clear the bonus in a set amount of days or months.